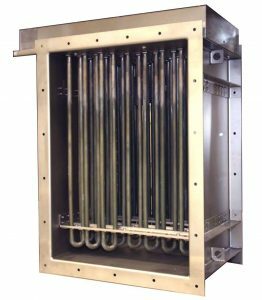 Vulcanic air duct heaters are designed to heat new or recycled air circulating in industrial processes or in air conditioned buildings, up to 500 kW, 750 V 3-phase, > 300 °C. 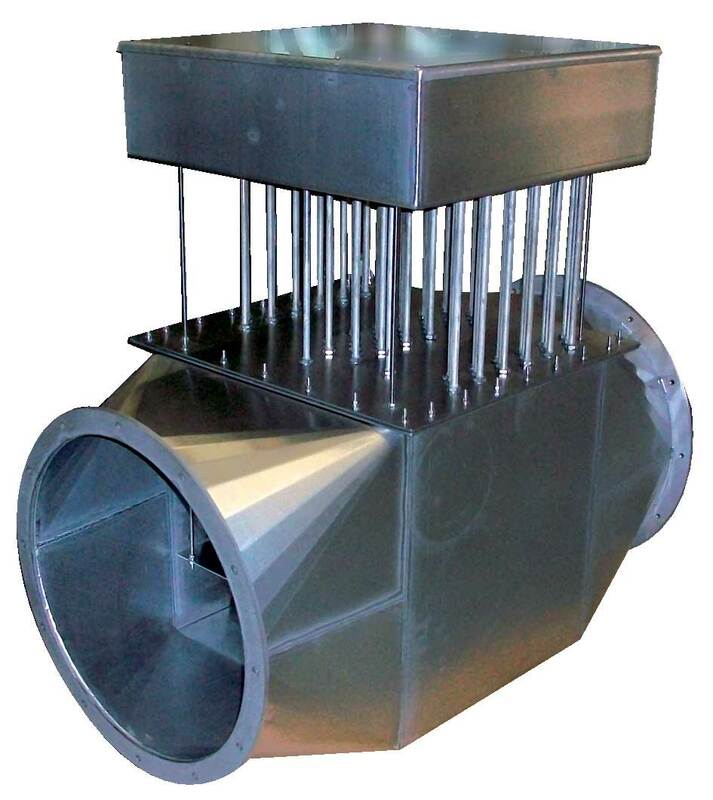 Vulcanic air duct heaters have rectangular or circular cross-section and can be mounted between flanges over an air vent or inserted in a drawer in a sleeve or a case. They are equipped with U-shaped or finned heating elements mounted in a protected steel or stainless steel case or on a mounting plate. A safety device (thermostat, PT100 sensor or thermocouple) limits the temperature. An IP30 to IP55 electrical cabinet, in steel or stainless steel, protects the connections of the heating elements for connection to the power supply and safety devices with the power cabinet. 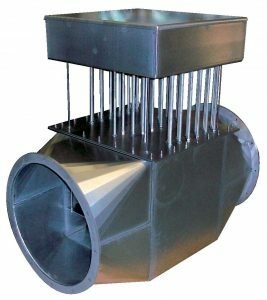 Vulcanic air duct heaters are designed and manufactured either as part of our standard range or as a customised solution (power, voltage, dimensions, material, etc.) in our factory in St Florentin.